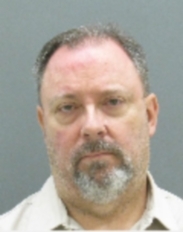 Jeffrey Ripley: Source: Ottawa County Sheriff's Office. BULLETIN: A joint investigation by offices of Michigan Attorney General Bill Schuette and Commissioner Kevin Clinton of the Office of Financial and Insurance Regulation has led to criminal charges of racketeering against two men accused of targeting the elderly in a $9 million Ponzi scheme. Charged in the alleged caper were Jeffrey Ripley, 59, of Sparta, and Danny Lee VanLiere, 60, of Grand Rapids, authorities said. The alleged scheme operated through an entity known as API Worldwide Holdings LLC. At least 140 victims were fleeced out of about $9 million in the scam, which operated between July 2006 and January 2012, authorities said. Ripley and VanLiere tracked the maturation dates of Certificates of Deposit held by victims “so they could make contact and persuade the victims to transfer the funds to API Worldwide immediately after the CD matured,” authorities said. 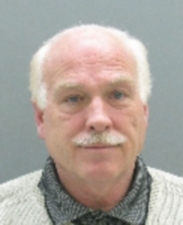 Danny Lee VanLiere: Source: Ottawa County Sheriff's Office. Ripley and VanLiere are charged with one felony count each of racketeering, six counts felony counts each of false pretenses and 25 felony counts each of violating the state’s Securities Act. The company is charged with the same crimes. Ripley was arrested by the Michigan State Police Fugitive Team. VanLiere surrendered to authorities after Ripley’s arrest. Both men are listed a prisoners at the Ottawa County Jail. Losses among victims ranged between $3,000 and $600,000, authorities said. “Michigan consumers should give us a call before entering into an investment and we will run a check on any broker, advisor or product,” said OFIR’s Clinton. All in all, the alleged caper led to the filing of 96 felony counts.